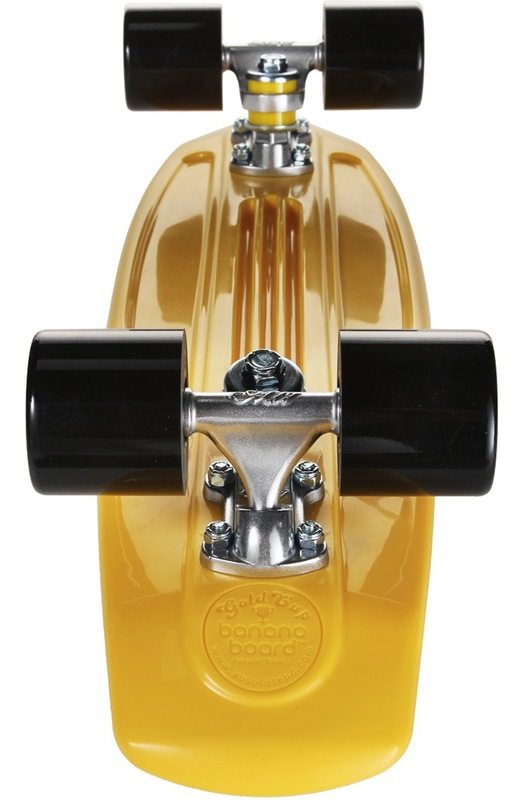 The Banana Board was more of a generic term for a plastic skateboard. Back in the high flying 70s and 80’s you could pick up a complete plastic board with trucks permanently machine-welded to the deck at nearly any toy store coast to coast. Now with the resurgence of longboards and cruisers there is a future once again in plastics. I’ve had quite a few of these type of decks over my life. 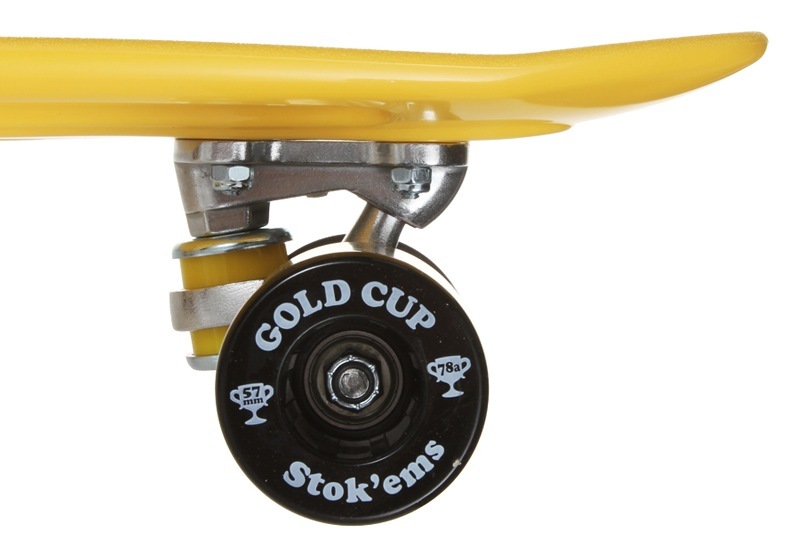 Most are nothing more then smaller width trucks with soft wheels. The Gold Cup Banana Board is a bit more thought out and was designed with the help of Bones Brigade legend, Lance Mountain. The trucks are a dead give away that this board properly represents its heritage while taking advantage of new technology. The wheels are 57mm 78a, as you may expect from a cruiser. They are however much wider then a typical wheel with out the coned out sidewall either. Thick black and grippy. The deck is a narrow 6″ by 23.2″ and the kick tail is usable instead of ridiculous like some of the other boards out there.